No matter what industry you are in, security is important. When you are running a nonprofit organization, knowing the importance of computer & network security is vital to your success. How you handle your base of donors, vital client information, and sensitive records, all matters when it comes to your nonprofit. If your network isn't secure, your data can be breached. Private information will be accessed if you don't have sufficient security measures in place, and it's crucial to consider network security at all times. Where you log in to the network and the security of your connection all make a difference in the overall IT security of your system. One of the most basic ways to keep your network secure is to ensure that you are always using the most up to date antivirus software available. Whether you are responsible for your network or you have an actual IT department, antivirus software is your first line of defense when it comes to network security. Data breaches are often successful because of a lack of antivirus protection that hasn't been updated recently. To keep your network and the accounts of all of your authorized users more secure, require that passwords are changed frequently. When you change passwords, this helps reduce the potential for unauthorized access into your network. When a hacker gains access through the use of an obtained password, they may be in your system for months until you change it. Once the password is changed, the hacker will lose the access and the ability to harm your network. One of the easiest ways to gain access to your computer is through an illegal email sent as spam. When you turn on your anti-spam and anti-phishing filters on your email, you are less likely to be attacked by hackers through your email. In addition, don't open emails that look suspicious. For example, if the email is from an unknown sender and the subject doesn't make much sense, it's time to send that email to your junk folder. Your employees may be logging into your network from all types of places. If you have employees working from home, they need to make sure that their connection is secure. Employees who are on the go should not be using a public wifi signal while working at a local coffee shop. Remind employees about the importance of IT security and why it's important to use a secured, private network whenever they are online and accessing the business network. Keep your data safe by having your employees follow basic safety procedures when working outside the office. The information you collect on donors that can identify the donor and potentially be used to steal an identity must be protected. 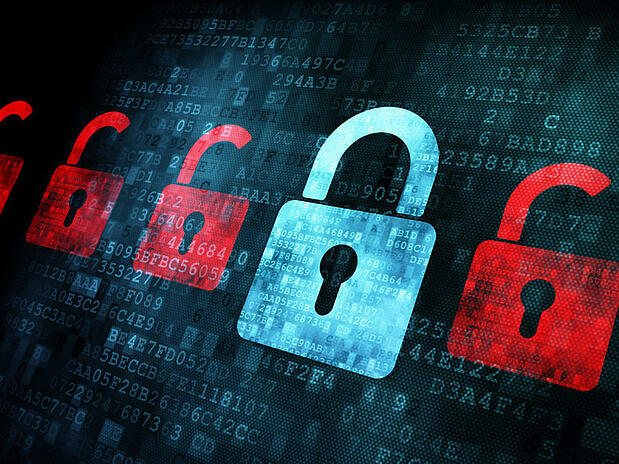 In the event of a security breach, if you don't have the right security in place or the strategies to prevent such a breach in order, you can be held legally responsible for the data collected. In addition, you must notify anyone that is personally affected by the breach, potentially causing a huge lack of confidence in your entire organization. A data breach can damage your reputation and cause serious financial ramifications for anyone who has data stolen from your network. In addition, you may be liable for any losses if you are seen as negligent in your IT security practices. To learn more about IT security services for nonprofits, contact us to see how we can help avoid a serious data breach.